Welcome to our lively purple pizzeria, nestled at the foot of the towering peaks of the Alaska Range, in the little town of Talkeetna. At the end of Main Street sits our purple pizzeria. 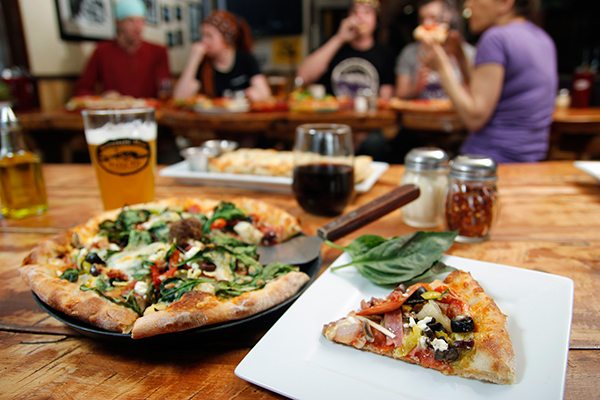 Enjoy a pizza with some cold, locally brewed beer in our beautiful garden deck in the summer. Listen to some live music on our deck and keep an eye out on Main Street. Yes, we are open year round! Come visit us in the winter, for an Italian style dinner accompanied with a good glass of wine. 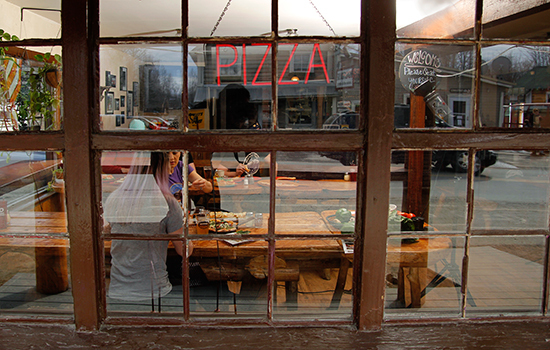 Warm up by the always hot pizza ovens and meet some locals. They will tell you all about the winter activities that keep Talkeetna hopping all winter!